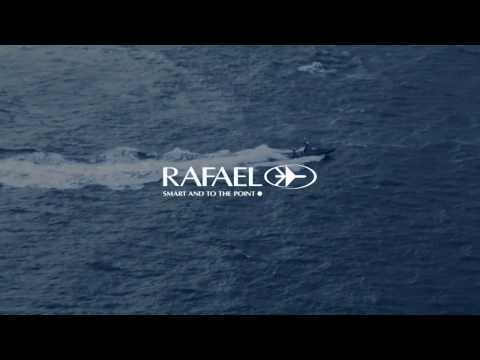 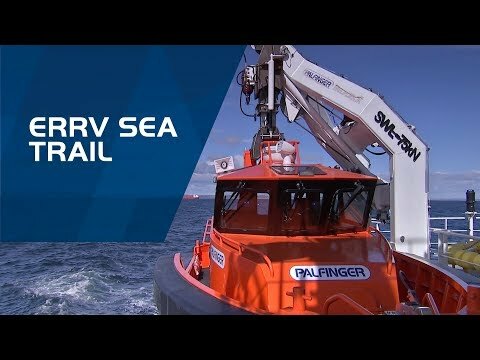 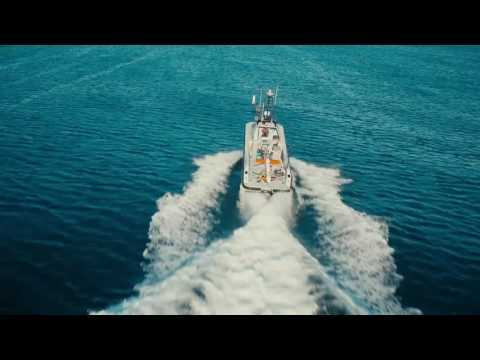 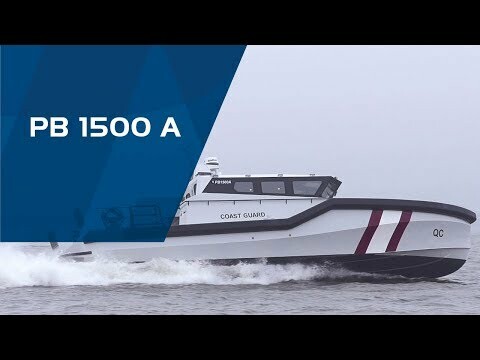 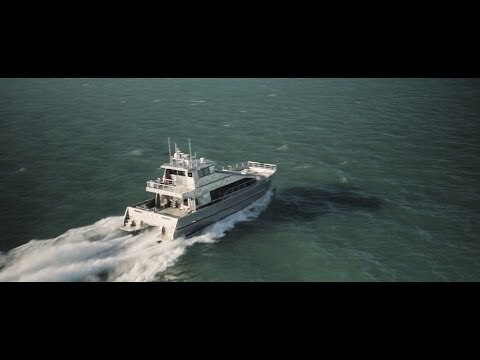 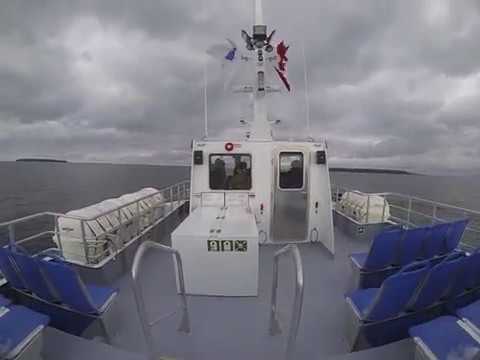 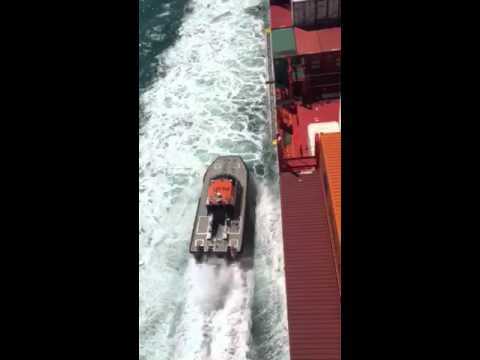 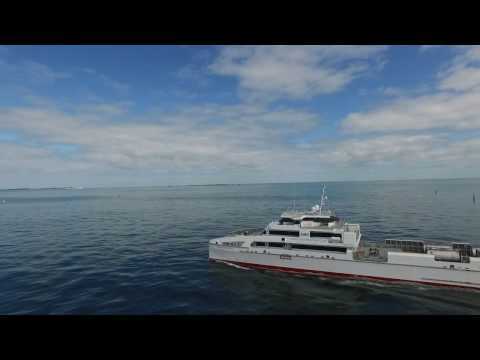 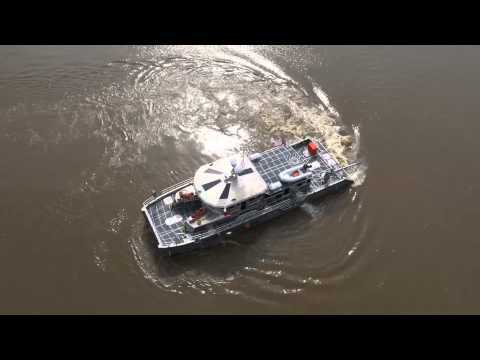 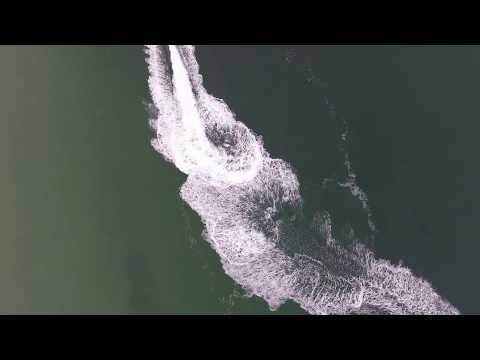 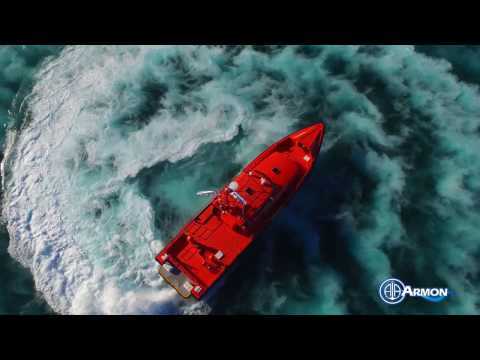 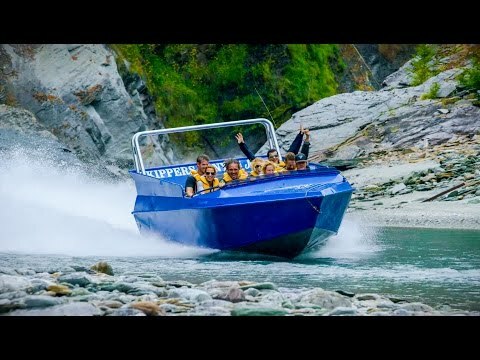 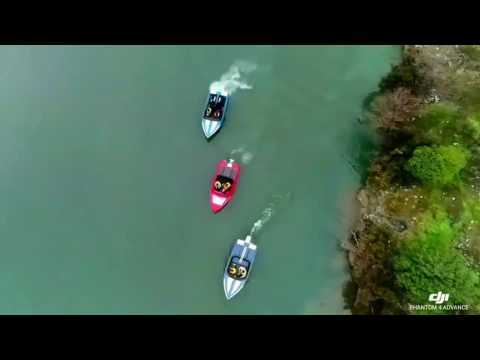 Sea trial video of Gulf Craft Hull No. 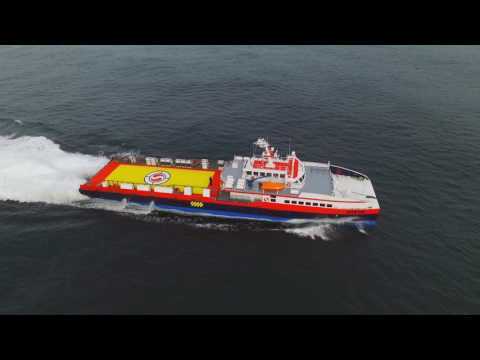 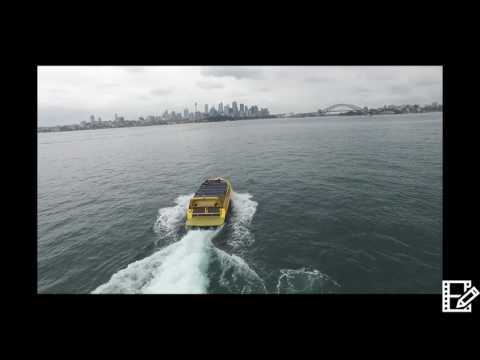 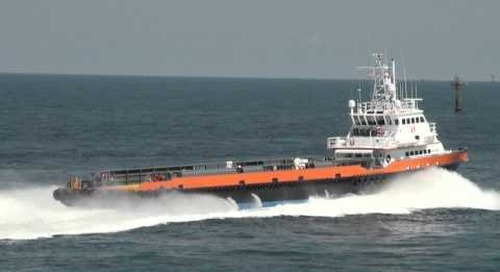 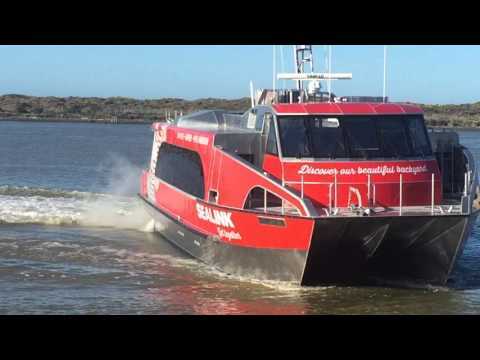 471, Seacor Marine's 190' x 34', water jet powered, fast supply vessel achieved a top speed of 34 kts. 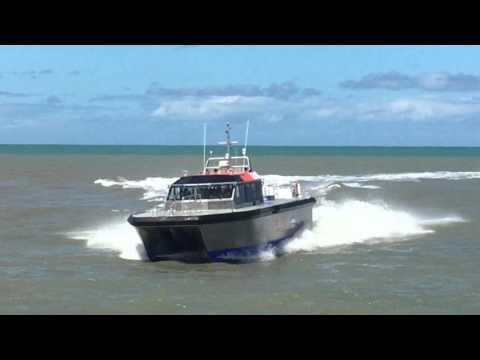 She is powered by four (4) MTU 16V4000, 3,435 HP diesel engines turning four (4) Hamilton Jet 900 series water jets.